Many people either forget or have no clue that dealership car loans provide significant benefits. If you want to purchase a vehicle but need financing, a reputable dealership near Waggaman, LA, has an incredible in-house finance department with experienced specialists to help. Instead of spending a great deal of time hunting down loans from a conventional lender, make an appointment with the right dealer to discuss your options. One essential thing to know about dealership car loans is the fact that, unlike some banks and credit unions, you can get the funding you need for a used vehicle. While some traditional lenders will finance a previously owned car, truck, or SUV, they are few and far between. For them, they consider the risk to be too high. A top dealership thinks otherwise, which is why it finances not only new and certified pre-owned vehicles but also used. Then, there are the terms of car loans. Conventional lending institutions typically do not finance a vehicle for longer than 72 months. In comparison, when doing business with a trusted dealership, you can have the loan extended to 84 months or longer. If you need to keep your monthly payments to a minimum, longer terms are one possibility. Even stretching them out when buying a used vehicle is an option. As for interest, your credit score plays a significant role regardless of where you look for car loans. However, because a respected dealership has strong partnerships with so many lending institutions, there is a much better chance of securing a low rate with it as opposed to going directly through a bank or credit union. Especially if you have less-than-perfect credit, you want to do what you can to find the lowest interest rate. Since outside lenders have only their loan to offer, they typically have strict approval criteria. If your FICO score is not quite where it should be, you will probably not receive funding through a bank or credit union. On the other hand, one dealership close to Waggaman, LA, works with people who have imperfect credit all the time. Do not allow your less-than-perfect credit to deter you from shopping for a new, used, or certified pre-owned vehicle from a trusted dealer. 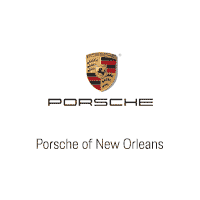 Porsche of New Orleans, located in Metairie minutes from Waggaman, LA, remains 100 percent dedicated to the customer. Call or visit us to speak with a financial expert about financing.